The coming Fiesta Hermosa on Labor Day Weekend will expand slightly to the east up Pier Avenue, but will not move farther to the south, as had been initially proposed, organizers said this week. 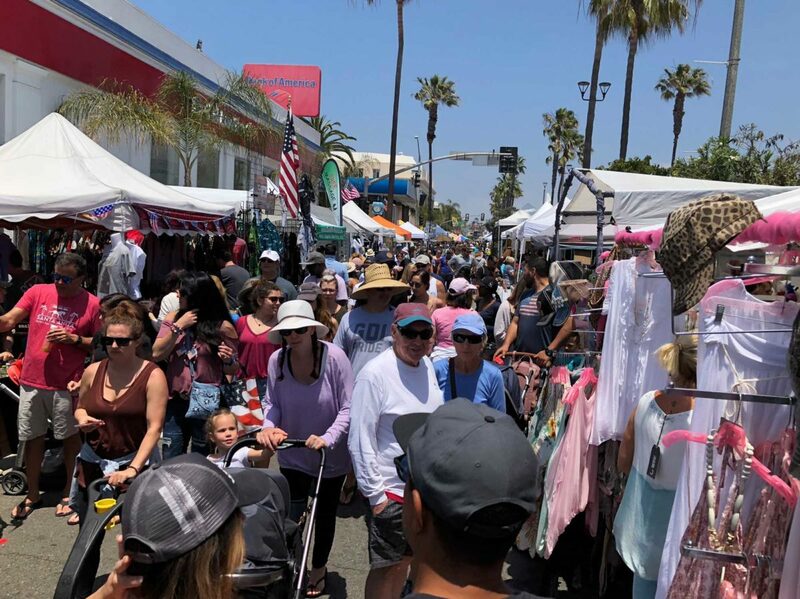 Citing a desire to provide a more spacious experience for Fiesta attendees, the Hermosa Beach Chamber of Commerce and Visitors’ Bureau had originally proposed extending the Fiesta footprint south along Hermosa Avenue to Ninth Court. But after discussions with a City Council subcommittee working on the Fiesta, the Chamber decided to keep the existing southern boundary at 10th Street. Along Pier, the event will extend from its former terminus near Manhattan Avenue to Bayview Drive, with a “soft closure” up to Monterey Boulevard to accommodate handicapped parking. The plan still needs to be approved by the Los Angeles County Fire Department. The decision follows complaints in recent years from some residents, who alleged that the Fiesta was becoming too commercialized and drifting from its arts-and-crafts focus. In response, the council last year established the subcommittee, consisting of Mayor Jeff Duclos and Mayor pro tem Stacey Armato, to examine the “overall impacts and benefits” of the Fiesta. The Chamber has been willing to experiment, but has also cautioned that sweeping changes to the vendor mix at the Fiesta would threaten the organization’s primary source of revenue, undermining its ability to finance other events it is contractually obligated to produce, such as the annual Saint Patrick’s Day Parade. At a council meeting last month, Chamber representatives said that, in an effort to “enhance the event experience,” the Chamber will be removing about 50 booths along the east side of Hermosa Avenue. The hope was that this would create more room for pedestrians and open up sightlines to brick-and-mortar retailers. But the announcement that the Chamber planned to replace them by expanding to the south drew protests from some residents and Councilmember Hany Fangary, who questioned whether it required a modification of the Chamber’s contract with the city. At the time, Councilwoman Armato said she would have preferred the Chamber make room by simply having fewer vendors. “My preference would be to eliminate existing booths for things like sheets and knives. But they are not ready to eliminate those things,” Armato said. Hunt said that under the proposed layout, the Chamber will be able to add a few vendors by expanding east on Pier, but not enough to replace those who will be moved from the east side of Hermosa Avenue. Duclos and Armato said council members will be walking around the Fiesta this Labor Day and will continue to reevaluate new designs. Armato said it was up to the Chamber to configure the booths, but based on the city’s reading of input from residents and businesses, including a town hall on the subject last year, the “middle of the road” preference for the Fiesta was a smaller footprint. Some businesses on Upper Pier said that they did not think that extending the reach of the booths would make a difference. Fiesta attendees, they said, are more inclined to spend their money on eating and drinking than taking time to peruse retail. Others were more hopeful. Amaloa Bonvecchio, owner of the Amaloa Art Boutique at 200 Pier Ave., said that she was pleased with the decision to expand eastward. She has gotten a booth on past Fiesta weekends but was forced to close the brick and mortar location during the Fiesta because she was too far from the store. Now that booths will stretch all the way to the 200 Pier building, she will be able to have one directly in front of her store and keep both businesses running.